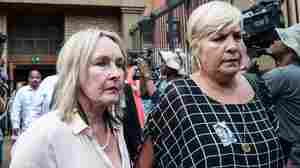 July 6, 2016  Reeva Steenkamp's parents were in court to hear the sentence; afterward, they told reporters that nothing would bring their daughter back. 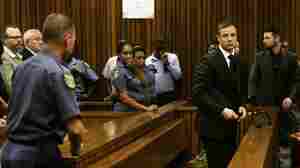 June 15, 2016  A defense lawyer called the track star a "broken man" and said Pistorius has made a "series of enemies" since he killed his girlfriend in 2013. 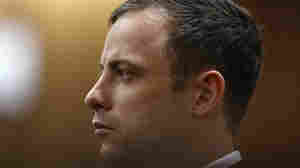 The athlete faces a minimum of 15 years for murder. 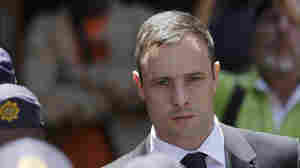 March 3, 2016  Signaling a possible end to a years-long legal saga, South Africa's highest court denied the former track star's request, clearing the way for sentencing. 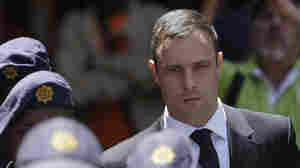 December 8, 2015  An appeals court found Pistorius guilty of murdering his girlfriend Reeva Steenkamp. 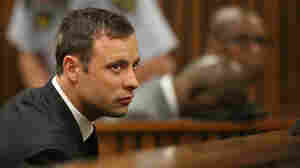 While he awaits sentencing, Pistorius will be under house arrest. October 19, 2015  South Africa's paralympian sprinter has been released from prison following his "culpable homicide" conviction in the 2013 shooting death of his girlfriend. He is under house arrest. 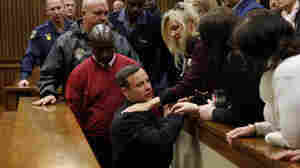 October 15, 2015  The South African double-amputee sprinter nicknamed the "Blade Runner" was convicted of killing his girlfriend in their home in 2013. He will be under house arrest. 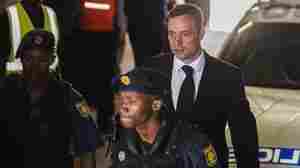 June 8, 2015  The state is appealing Pistorius' acquittal on murder charges, but it appears that the Olympic athlete will be out of custody when that appeal comes before the justice system. 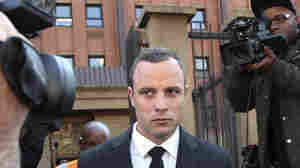 October 21, 2014  The Olympian was convicted of culpable homicide last month — rather than a more serious charge of premeditated murder — for the 2013 fatal shooting of Reeva Steenkamp in his home. October 13, 2014  At a sentencing hearing for Oscar Pistorius, a court-appointed prison social worker says the South African athlete's punishment for culpable homicide should include three years of house arrest. 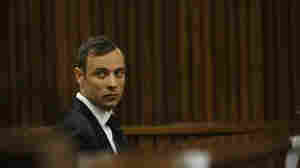 September 15, 2014  Despite a conviction for culpable homicide and the looming possibility of a jail term, Oscar Pistorius would be free to compete, says the head of South Africa's Olympic committee. September 15, 2014  Also: writers ask Amazon's board to end battle with Hachette; notable books coming out this week. 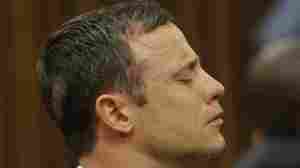 September 12, 2014  The double-amputee track star showed no emotion as the verdict was read in a South African courtroom. 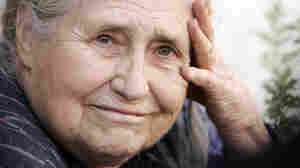 He faces a maximum of 15 years on the charge, which is roughly equivalent to manslaughter. September 11, 2014  South African Judge Thokozile Masipa, who has yet to render her final verdict in the jury-less trial, says the prosecution failed to prove premeditated murder.